You might be thinking that a direct marketing campaign isn’t worth the trouble. Think again! 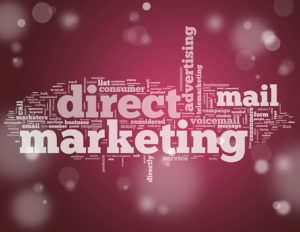 Direct marketing is still very relevant and very effective. It’s personal. When you use direct mail, you can address your customers by name and respond to their personal needs. Direct mail offers the personal touch that social media is often missing. It’s targeted. You choose who, when and where your mail will go. 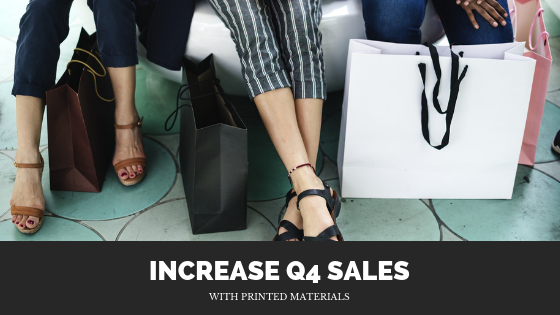 Also, when you choose the right printer, they will help you to purchase targeted lists, so you will find and reach your ideal customers easily. It’s customizable. Direct mail is easily customizable to suit your marketing needs. You can choose from all shapes and sizes, from postcards, brochures, letters and so much more. Bellia Print and Design has the expertise to help you create the perfect message. We know what it takes to get your project done on time and within your budget. By combining our high quality, in-house print solutions and a guaranteed accurate database of listings we ensure that your mailing reaches your target on time. Give us a call today to get you started! Direct Mail is sent to carefully targeted prospects and/or customers. Your mailing will only be sent to people who are likely to be interested in your product or service. Direct Mail can be personalized. When potential customers see their personal information on a mailing piece, they are more likely to become engaged. Direct Mail is likely to be seen. USPS says that 98% of people bring in their mail each day. We have a talented graphic design team who can help design a stand-out marketing piece. With our variable data printing service, we have the ability to customize each piece for your customers. No list? No problem! We will help you build a targeted mailing list to maximize your marketing dollars. We work with a variety of industries. And when it comes to the actual mailing process – we will mail your items out! We have the resources in-house to properly sort, bundle and deliver your mailing to the post office according to USPS standards. You’ll even get the best postal discount possible with our Presort service. Check out our website for more information regarding all of our direct mailing services. 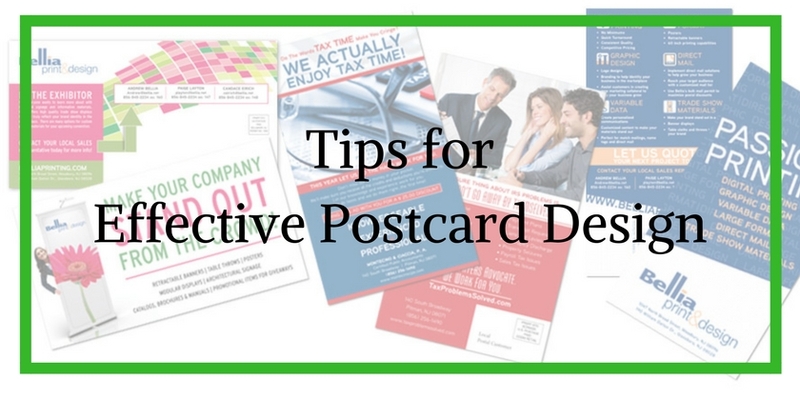 Effective postcard design is more important than even the printing of the postcard. Postcards can have many roles, from opening announcements, to appointment reminders, to new product announcements, to business information. With no envelope to open, postcards are often seen by the intended recipient. Fill one side with bright, bold, colorful graphics and/or photos to stand out from the barrage of mail your customers receive daily. Keep it simple. There’s not too much room on a postcard so keep your message short and to the point. Include a call to action. This could be as easy as asking customers to head to your website. With various types of card stock, sizes and finishing options you can transform the look and feel of your postcard, and customize it to your needs. If you are looking to place a small order – that’s no problem! Our professional graphic artists are here to help bring any vision to life with a bold, impressive postcard design. There are many reasons to add direct mailings to fundraising. Many non-profits utilize the phone and internet. While it may take courage to call a donor, it doesn’t cost anything. And an email is easy to write and send. But direct mail sets you apart from the competition, and it has a longer lifespan than either of the other two options. And although it may take a bit more time, the benefits are worth it. Especially when you have a trusted professional to guide you. Mailing to your house file is almost always profitable- your house file is your current donor list- those that have given to your organization in the past. If they have donated before, they are very likely to do so again as past behavior is an excellent predictor of future behavior. Prospecting is a good way to get new, consistent donors- while mailing to your house file is a must, prospecting is also important. This is when you send a mailing to people who have never contributed to your organization. This list can be one you purchased, borrowed from a fellow non-profit, or that you compiled on your own. They are cold leads and while you may receive a smaller number of donations from this list, it is worth it because those donors will then move to your house file and donate on multiple occasions over time. Your list is money- if someone has given to your organization through mail in the past, they will most likely do so again. This is why your house file is so important. And also why you need to treat your list with respect. Don’t over-solicit by sending letters constantly, but don’t under communicate and only reach out when you want something from them. Update your donors on current happenings and events within your non-profit with a newsletter or update, send thank you letters, not just for donations, but for general support, and send out something around the holidays to let them know they’re important to you for more than their money. Stay in touch – your donors keep your non-profit going and are incredibly important. 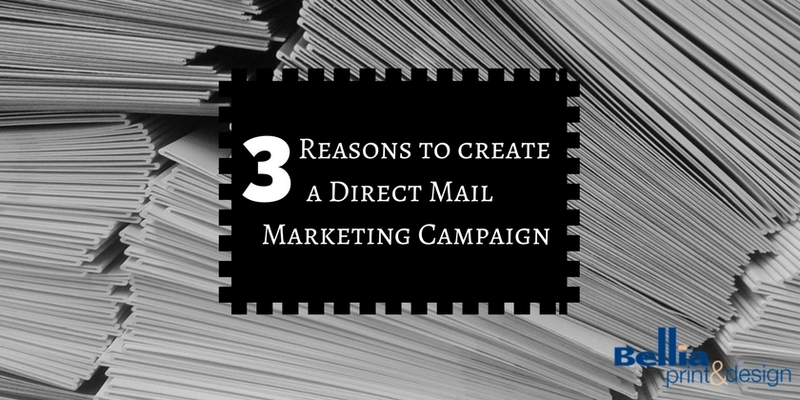 By having scheduled direct mailings, you are putting your non-profit in front of your contributors multiple times a year while informing them about the organization and letting them know what you’ve done with their gifts. People are more likely to donate again when they can see what their previous contribution has done. While it takes time to develop a strong direct mail campaign, it will bring in consistent donations over time, introduce you to new contributors, and help you to build a solid relationship with your donors. Those are incredibly important things to a non-profit, and all can be achieved through direct mail. Once you decide to move forward with your direct mail campaign, it is important to work with a professional to make sure your mailings include everything needed to get you the greatest possible response. At Bellia Print and Design, our goal is to help you get the most of your mailing, and we can assist you with each step of the process. We will help you send a test mailing to your house file, and then work with you to create the right mailing for your prospective list. And if you don’t have a specific prospect list, we can help you source one. 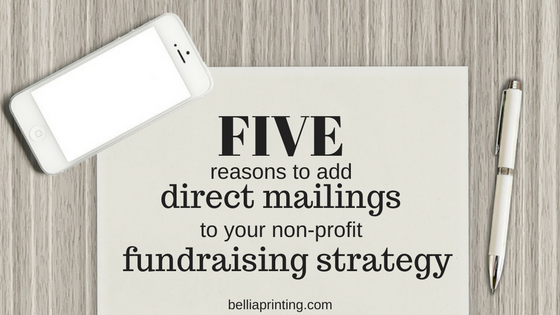 Need More reasons to add direct mailings to fundraising? 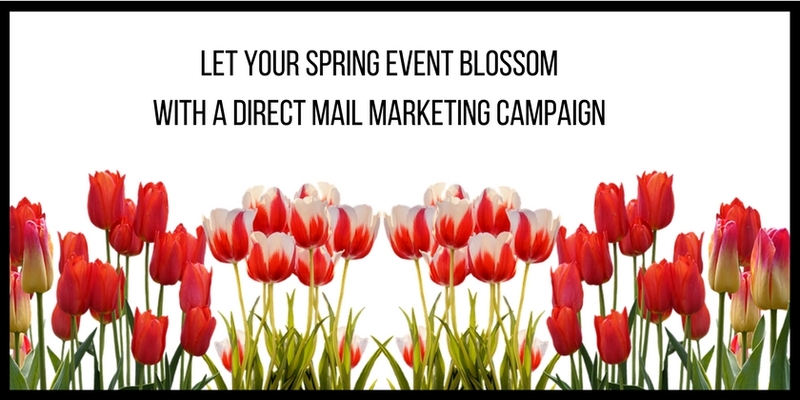 When planning a direct mail campaign it’s easy to become overwhelmed with the many direct mail options. 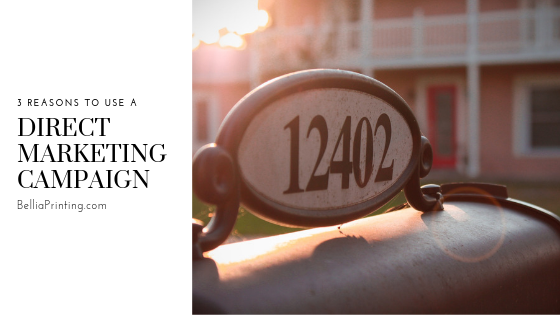 From locating a mailing list, designing your campaign, postal size regulations and postage specifications there are a lot of details that cannot go overlooked! Which is why at Bellia Print and Design we will gladly help you through the entire process. Our 40+ years in the industry has made us experts in managing mailing campaigns. We can advise you of the different mailing list options, have an in house designer create your mailer and even offer a large postal discount! You can also expand your reach, find and reach your ideal customers by purchasing targeted lists, and use variable data to customize your message. And if you’re running a nonprofit, you can increase membership and fundraising by reaching prospects and maintaining a relationship with current donors. Variable Data – Make your direct campaigns stand out from the rest with personalized messaging on you mailer! With Variable Data you are able to add a name to your digital image! Every Door Direct Mail (EDDM) services- EDDM is designed to help businesses market themselves to their local community or specific neighborhood/geographical areas. It’s an affordable way to expand your company’s reach without specific addresses. Use the tool on the USPS website to choose specific postal routes by searching zip codes. Once you have your routes picked out, we design, print, and deliver to every address on your selected routes. This option provides your company full saturation mailing at a highly discounted mailing rate. By hiring Bellia to take care of this for you, you will save time, reach new customers, deliver the perfect message, and save money. Targeted Mailing Lists – purchase a list that matches your demographics! 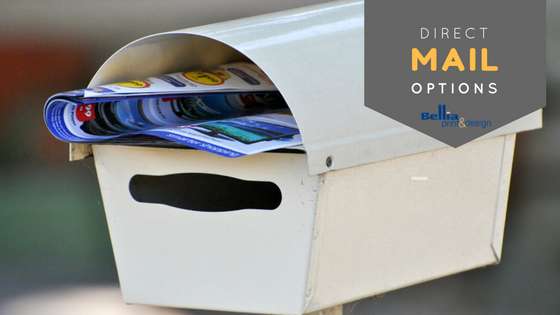 There are a lot of direct mail options, but Bellia can handle it all. Our design and marketing team has the expertise to help you create the perfect message, get your project done on time, and within your budget. By combining our high quality, in-house printing solutions and a guaranteed accurate database of listings, we ensure that your mailing will reach your target on time. Check out our website for more information about all your direct mail options.